Alas, Andy Thunderclap Newman has passed on. 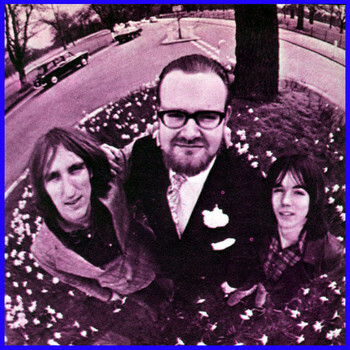 What a strange thing his namesake Thunderclap Newman was, and even stranger what a thing that Hollywood Dream LP was. I remember playing it in the car as I drove down Hollywood Blvd right after moving here in 1980, blasting the title cut out the window and thinking wow, I’ve made it. I wish there was a Hollywood, I sang along, just like there used to be, with long black cars and paper hoods and a film star on my knee. Except that my canary yellow (with grey primer) Buick Opel didn’t have a cassette player when I first moved to Hollywood, it had an AM radio, and unless KHJ was playing Something in the Air, Andy Newman’s unhurried piano never saw the inside of my beat up little car. Now, as I mash together memories, formats, and automobile sound systems I’m listening to an Accidents (long version) that I copped off the internet. Andy takes a wonderfully ancient solo like we’re watching Buster Keaton chasing his hat in a windstorm, so unhip it hurts. “I see Jimmy climbing on the milkman’s van, laughing,” sings Speedy, “on his feet were a pair of granddad’s shoes / Then I looked around / And he was gone / Are we to lose?” Then a melodic solo by Jimmy, a penny whistle, and more of Andy accompanying Buster Keaton. I recall how unpopular a party album this was at our pad. It was an acquired taste, like an aged but weird wine. Andy himself, I always thought, was even better on a b-side of Something In the Air called Wilhelmina that one can safely assume probably did not get as much airplay as the a-side. He sings nothing like Mick Jagger over a barrelhouse piano nothing like Keith Emerson and though Jimmy McCulloch does a very nice psychedelic fill it’s as unrock’n’roll a thing as you can imagine. I love it. Now Andy Thunderclap Newman is gone, following Jimmy McCulloch and Speedy Keen, and the band is gone too. Life is just a game, you fly a paper plane, there is no end. Speedy, Andy, and Jimmy on the cover of Tiger Beat. Check out BricksPicks.com for more reviews. This entry was posted in Psychedelic and tagged Andy Newman, Hollywood Dream, Jimmy McCulloch, Pete Townshend, Something In the Air, Speedy Keen, Wilhelmina. Bookmark the permalink.